This Deal is available for a Limited Time only and is subject to change. Cannot be used in conjunction with any other offer or promotion. 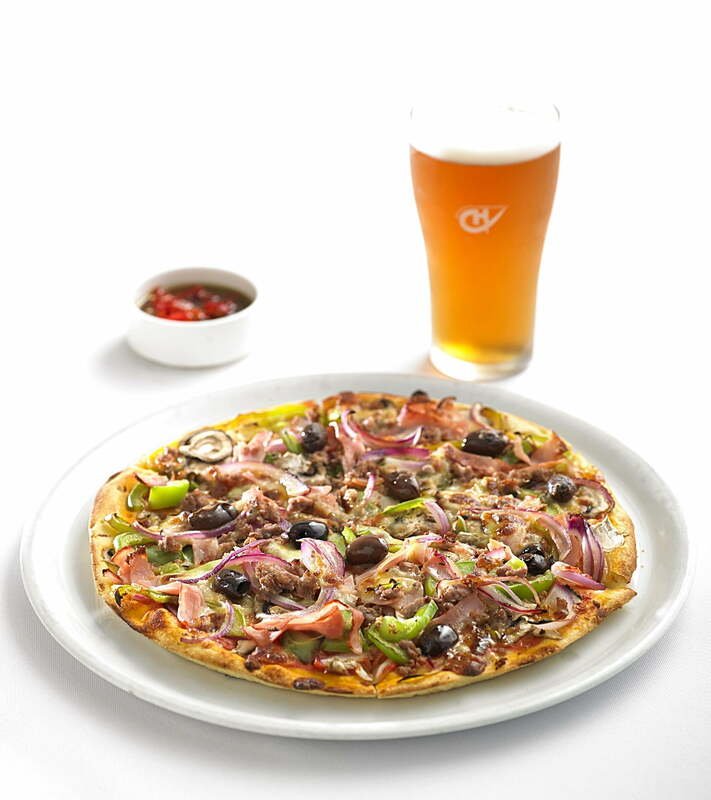 $8 Pizzas are available from the pizza Base Bread or Traditional Pizza Menu (Gourmet Pizzas are not included in this deal) Deals may not be available on Public Holidays. ½ & ½ pizzas not available & requests for extra Toppings will incur a fee. Please note: Wait time may increase during busy periods *Terms & Conditions Apply. We boast two great dining options, Delights Brasserie and Escape Pizzeria as well as numerous bars, outdoor areas, TAB and Keno.